With plenty of rain this spring and storms across North America, many anglers have been faced with rough water conditions. Knowing how to drive your boat in this type of water is crucial both if heading out in this situation or if you are a new boater and get caught with weather changes while you are out. Check out the video from The Rod Glove Pro Bass Elite Gerald Swindle on his tips for driving in rough water. The Rod Glove offers protection for your bait caster or spinning reels with The Reel Glove. Easy to install and small enough to pack in your tackle box or on board your boat, the Reel Glove is an essential item to keep your gear protected. For those that want to enter into the sport of tournament angling, starting as a co-angler is a great way to learn from more experienced anglers. 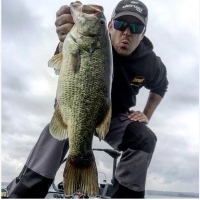 Learning from some of the best in the industry, The Rod Glove Pro Staff Theron Asbery is competing and enjoying himself on the FLW Costa Series trail. 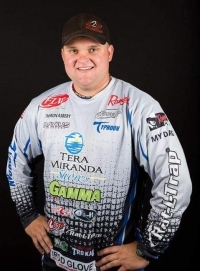 Although his ultimate desire is to become a full time tournament angler, he is various techniques on different bodies of water and how to catch to cash a check. If you have a business that you want to promote in a unique way, why not take a look at our branded Rod Gloves? Take a look at what sets the Rod Glove apart from the rest and how you can provide protection and promotion by putting your logo on the Rod Gloves. If you are installing new electronics, having a new boat rigged or just want to organize your existing electronics, make sure to check out The Rod Glove E-Cable. We have included a couple of helpful videos, by Lawren Wetzel from Radioworld. Take a look at some Rod Glove hacks from our Rod Glove Pro Staff PMTT Tournament Angler Nick Filip and our Rod Glove FLW Pro Bass Joe Holland. We hope that you find their tips to be useful and to think about how the Rod Glove products might help you with a fishing hack. The Rod Glove Pro Bass Elite Jordan Lee won the 2017 Bassmaster Classic and has become the youngest Champion but it was not what he was expecting as he had some major setbacks during the tournament. Not sure how to keep fellow anglers from looking at your baits rigged on your rods on tournament day? Ever wondered how to keep your Rod Gloves attached to your rod? Take a look at the Bait Glove and Rod Glove Saver. 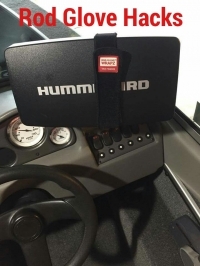 These two inexpensive accessories can help you on tournament day, travelling with your gear or protecting your investments.